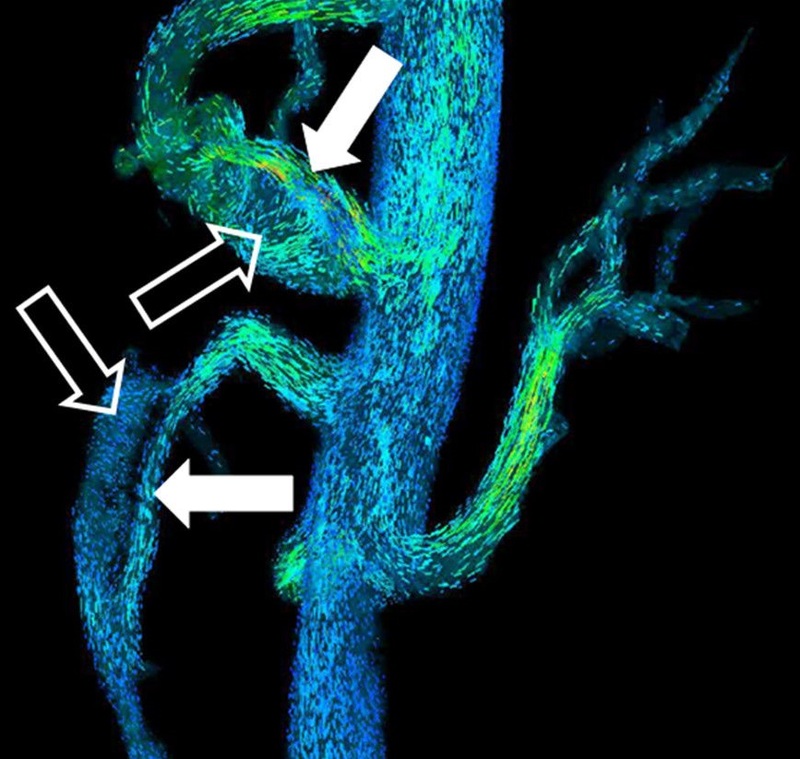 MRI Angiogram or MRA, is an advanced investigative technique used to visualize blood vessels in all parts of the body and observe them for any abnormal changes. It is a variant of MRI (Magnetic Resonance Imaging) scan. As the name suggests, MRA is performed by using magnetic waves of suitable intensity in order to detect any disorder of the blood vessels. * Above mentioned offers can only be booked online. Why is MRI Angiogram performed? Who can perform MRI Angiogram? A qualified radiologist experienced in performing and depicting results of MRI Angiogram along with a team of experienced radiology technicians can perform the investigation. Preparation for performing MRI Angiogram? MRI Angiogram is not the first line of investigation in most cases. It is done when other primary investigations fail to provide accurate diagnosis about the patient’s health condition. MRI Angiogram (a.k.a. MRI Angiography) is done in patients having some disorder of the blood vessels. Before the procedure is performed, the patient has to undergo a physical examination and some blood tests. It is imperative that the patient’s blood pressure is monitored continuously since a few days before MRI Angiogram. Patients are asked to inform their doctor for any current or past kidney disorders. Female patients who might be pregnant should inform the doctor about it. Necessary measures can be taken to avoid any harm to the fetus while performing MRI Angiography scan. Patients who have had stent implanted in their coronary arteries, an artificial joint, prosthetic limb, chemoport device, cochlear implant or any other medical device within their body have to notify their doctor about the same. After all these steps have been carefully executed, the patient can be declared medically fit to undergo MRI Angiogram. Once the doctor is ensured that patient is medically fit to undergo MRI scan, a date is scheduled for the procedure. Patients are advised to be present at the diagnostic center well in advance of the time of MRI. There are some preparations to be done before the scan begins. Once patients reach the diagnostic center, they are asked to change their clothes and dress in a surgical gown which is sterilized. Any jewelery and accessories should be removed before undergoing the scan. Any metallic belongings are not allowed in the scanning room. Patients might be asked to alter the dose of medicine which they might be taking for any other health conditions. The change in prescription is to be followed till the doctor deems it necessary. The MRI Angiography machine comprises of a wide hollow tube like structure (closed MRI) with a sliding bed attached to it. Magnetic field of pre-decided intensity is generated within the hollow tube. A variant of this set up is Open MRI. In open MRI, two plates are placed parallel to each other along with a sliding bed attached to it. Magnetic field is generated between both the plates which helps in conducting the investigation. Before the procedure begins, a contrast dye may be injected into patient’s blood stream. Though this is not mandatory, it helps in enhancing the clarity of the blood vessels when they are observed during scanning. The dye is usually injected into a vein of the forearm. It quickly spreads through the blood stream and magnifies the clarity of the scanned images. Patient is asked to lie on the sliding bed in a position depending upon the part of body which is to be scanned. The bed slides between the two plates (open MRI) or within the hollow tube (closed MRI) and the procedure begins. Magnetic waves emitted from the magnetic field interact with the hydrogen particles that are present within the body tissue. This leads to generation of radio waves. Magnetic waves and radio waves together help to create images of the blood vessels which are then used by the radiologist to come to a diagnosis regarding the patient’s health condition. The entire procedure can last for anything between 45 minutes to 90 minutes. What happens after MRI Angiogram is completed? Once the process is completed, the patient is examined and allowed to go home immediately. Sometimes, due to the contrast dye, patients may feel nauseated and dizzy. Closed MRI could trigger some anxiety in patients due to which they might feel giddy after MRI. In such cases, patients could be retained for observation and then discharged to go home after they are comfortable. It is a safe method of investigation as it does not employ the use of any harmful radiation like X-rays. It can be used even for pregnant women and small children without unfavorable repercussions. It provides highly accurate results and there is little chance of mis-diagnosis. Minimal surgical intervention is involved in the procedure and the results are quite fast. Patient may develop allergic reaction to the contrast dye used during the procedure. Closed MRI may lead to feeling of claustrophobia and anxiety in the patient. MRI Angiogram is needed for confirming a patient’s diagnosis which has not been done by previous first line of investigations. It can also be used for successive follow ups in patients who are undergoing treatment for any vascular disorder. Reports of consecutive MRI Angiogram will help in assessing whether patient’s health has improved or deteriorated. MRI Angiogram has been used as a guidance tool for performing several medical procedures like biopsy, stent placement etc. If these procedures are done under MRI guidance, the chances of damage to the neighboring healthy organs due to medical tools is reduced to zero. MRI Angiogram is a procedure requiring great precision at the hands of a radiologist. Co-operation from the patient is very helpful for the radiologist in completing the procedure without any hassles. Patients who are about to undergo the procedure should try to obtain as much information as possible about the scanning procedure. This will make them be prepared for MRI Angiogram as well as help them co-operate with the doctor. MRI Angiogram is very advanced medical technology. Patients should not undergo it without a doctor’s prescription. Do’s and dont’s about the procedure should not be ignored and should be followed properly for successful outcome of the investigation. Sign me up for the medifee.com newsletter!